The Sound+Image Awards for 2016 were held on the 25th November at the Grace Hotel in Sydney. 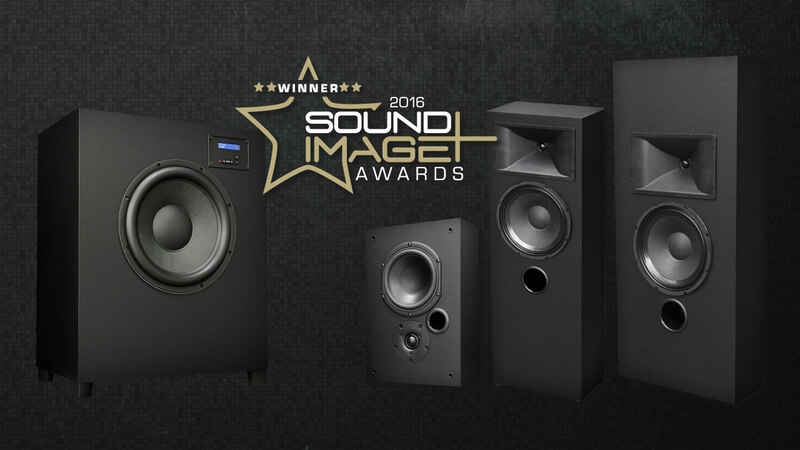 Our Series SX Home Cinema Range was announced as Custom Installation Product of the Year! The Series SX range has been designed for those wanting cinema sound in their dedicated home theatre rooms. Where the prodigious Series X range utilises large cabinets and horns, the SX range (short for ‘Scaled-Down Extreme’) uses smaller enclosures with highly efficient drivers and waveguide technology to deliver high amounts of power with controlled dispersion. This creates a dynamic soundstage that brings clarity and increased intelligibility to each member of the audience. The versatility of this product shines through in the range of installation options. The SX range can be placed on or in a wall, or behind an acoustically transparent screen, making them well suited to any application in a home cinema environment. Building a value for money, high-performance, high-quality system with a range of installation options was not an easy task – the Series SX range has proved a huge success and worthy winner of the Custom Installation Product of the Year Award. For the full review, check out the article here.